The best coffee, restaurant ,cocktail and accommodation in Austin,Texas. "Welcome to Austin, the time is 10 a.m. It will take a couple of minutes for us to taxi to the gate," announced the captain. From the window, you could see the haze of the heat blurring the runway as planes slowly lumber to their gates. We had a packed schedule of meetings but we're excited to finally get a chance to come to Austin. Austin often gets qualified as the X of Y: the SF of the South, the Portland of Texas, etc. Sure, it has qualities of those cities, but one thing is clear — Austin has a better time than both of those cities. It is a city that eats and drinks. So if your business brings you to Austin, get excited. You can assume that you will definitely be mixing business and pleasure. Austin is overflowing with places to go and things to do because of its famously booming economy. The city experienced a 5% growth rate over the past fiscal year, which ranked 2nd overall in the nation. With close to 40% of the city’s population working in business, finance, sales and office roles, Austin is continuously inviting younger and more educated crowds. This trend is bringing in incredible amounts of funding, start-up companies and technological business hubs to the city center. Through the benefits of a flourishing economy, Austin is capable of staying competitive in food and entertainment industries. 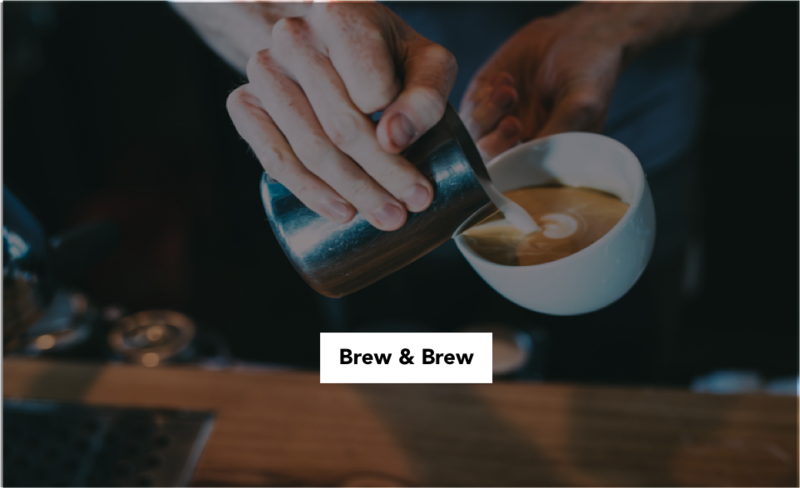 Brew & Brew is perched in an industrial warehouse in the hipper East side of Austin. This cafe understands its purpose: to provide high-quality coffee and a gorgeous place to work. The Wi-Fi is free and fast and outlets are plentiful. If you get too jittery on their smooth nitro, fear not … they also serve local craft beers to help take the edge off. What made this cafe beat the rest is the outdoor patio (perfect for phone calls). If Brew & Brew is a bit out of your way, there are a number of boutique cafes dotted around the city. Check out our shortlist below to see our top 3 cafes in Austin. Austin does like to eat. As you float around the city, you will see dozens of food trucks that serve high quality cuisine … they really spurred the movement of food trucks in the United States. Austin is dense in the quality of cuisine, but our Business and Pleasure recommendation is Barely Swine. It’s a bit on the pricier end, but depending on the client and/or your budget, you will certainly have an excellent culinary experience. Owner and chef Bryce Gilmore started out with a food truck in the late 2000's, but quickly traded it in for two thriving brick-and-mortar restaurants: Barley Swine and Odd Duck. Barley Swine’s multi-course menu is a farm-to-table meets seasonal Southern favorites meets high-class plating hybrid. It’s impossible to order a bad dish here. 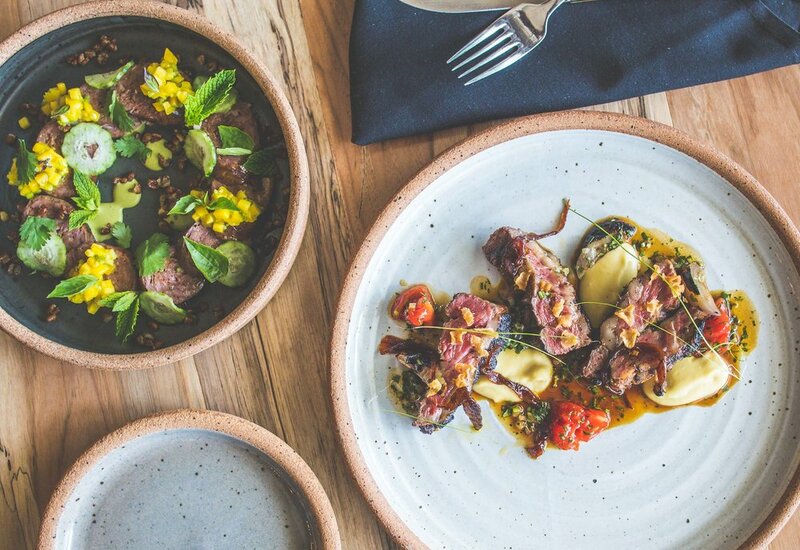 Check out our shortlist of other amazing restaurants in Austin for other culinary options. The cocktails at Barley Swine stand by themselves, but make sure to leave room for libations elsewhere. Hop in an Uber and head 15 minutes down I-35 to Whisler’s. 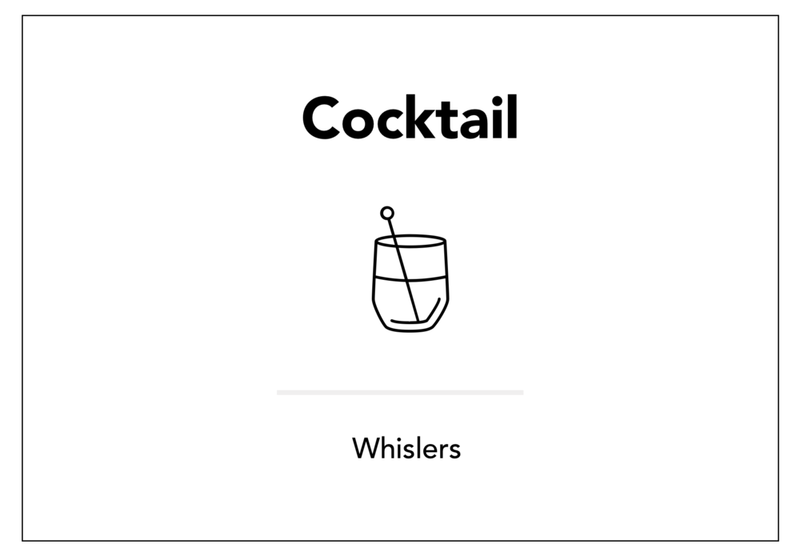 As if deciding between their specialty cocktails isn’t hard enough, you’ll have to choose whether to spend your evening in their beautiful bar or on their bustling outdoor patio. We suggest taking the time to experience both. 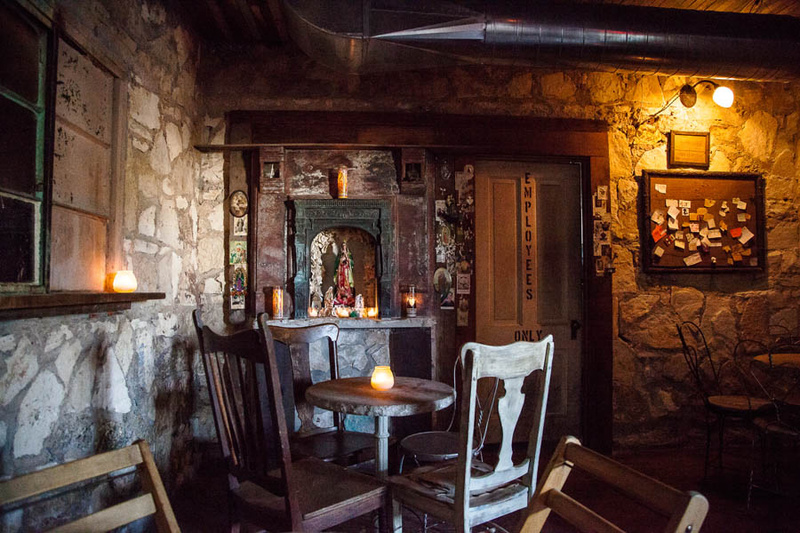 While rustic-chic is a fairly common theme around Austin, Whisler’s takes it to the next level with cobblestone walls, wrought iron chairs, and reclaimed wood furnishings. The venue frequently hosts all sorts of musical performances, from jazz quartets to local alternative bands. And it’s not such a bad idea to plan your trip to Whisler’s around happy hour so you can enjoy a $7 Jamaican Matchmaker while sitting on an outdoor couch listening to someone play the banjo. Insider tip: they have an intimate, speakeasy-style mezcal bar at the top. But, be warned: the stuff is potent. One too many and you may miss your flight. If you’re looking to bar-hop, take a look at our shortlist of Austin’s finest cocktail joints. 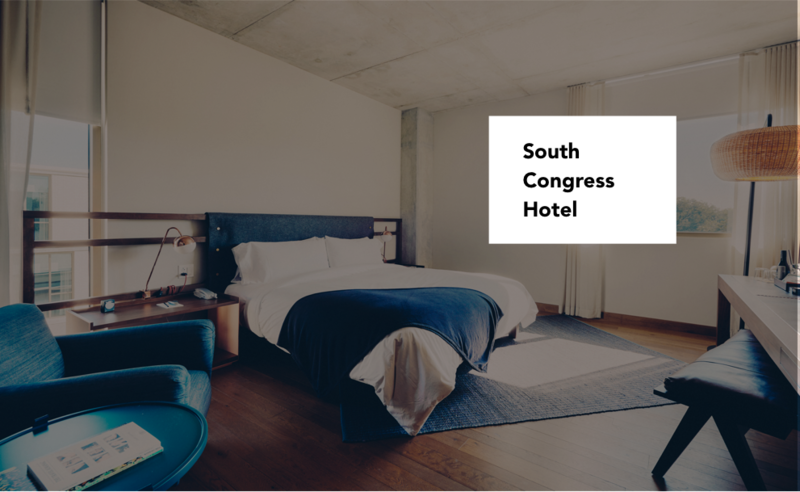 The South Congress Hotel, located in the middle of South Congress Street, has an immediate buzz about it as soon as you pull up. 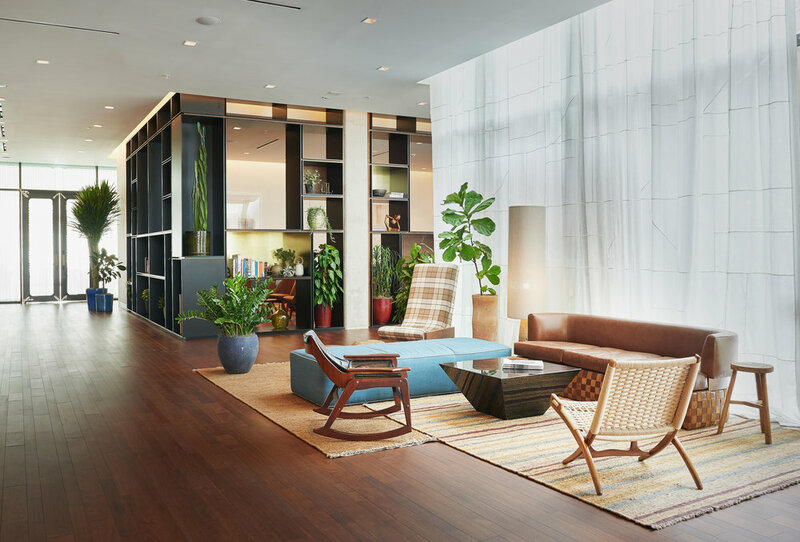 The bohemian design, focused on social spaces and curated food and beverage offerings, make it our choice as the Business and Pleasure hotel for Austin. The hotel exceeds expectations when it comes to amenities. 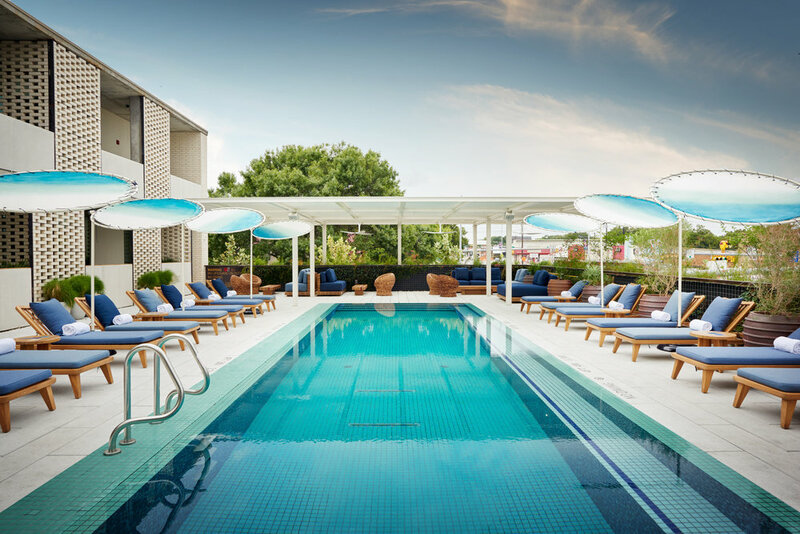 In addition to having an all-day cafe, a Japanese restaurant, a coffee and bakeshop, an American grill, a lobby bar AND a rooftop pool and bar, the South Congress Hotel offers its guests a personal shopper, a BMW house car service, electric bike rentals and motorcycle rentals. And at the end of a long night in Austin, you can lay in bed and enjoy Apple TV, Google Chromecast and Drafthouse Films on demand, all of which every room is equipped with. Rates are typically between $200 and $300 per night. Check out our shortlist of other places to crash in Austin. What experience are you looking to craft for your guests? Excitement is the most important experience I'm looking to craft. I always want to make them excited, surprised and happy with my food. I’ve learned the key to building consensus is be an active listener and have as much subject knowledge as possible. How did you chose UT Austin? What are your travel habits?